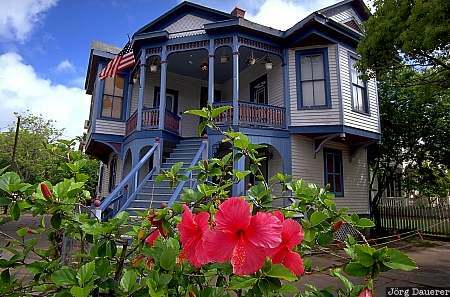 A red flower in front of a historic house in Galveston. Galveston is in southern Texas, United States. This photo was taken on a sunny day in April of 2002. This photo is part of the exhibition The color Red (June 2006).